Rhinoplasty is a surgical procedure to improve the look of the nose by changing its shape. It can also be performed to improve breathing for patients who suffer from a malformed nose/nasal passage, such as a deviated septum. You may be an ideal candidate for a rhinoplasty procedure if you are interested in changing the look of your nose or to improve its functionality. Also, the surgery is best performed on patients who are no longer developing (generally 16 and older). As with all medical procedures, excellent candidates are those in good overall health and who have informed, realistic expectations. We serve clients from Savannah, Hilton Head and surrounding areas. An initial consultation with Dr. Minton is the first step to any procedure. There he will discuss your health history and closely examine your nose to determine the precise changes to be made in order to meet your needs. The nose will be photographed at different angles; these photographs are used during the surgery as well as to compare the look of the nose after the surgery. Painkillers like as aspirin and ibuprofen increase risk of bleeding and should be avoided two weeks before and two weeks after your rhinoplasty. Anesthesia. Before the start of the surgery, anesthesia is administered to the patient to ensure there’s no pain or discomfort during the surgery. Incisions. 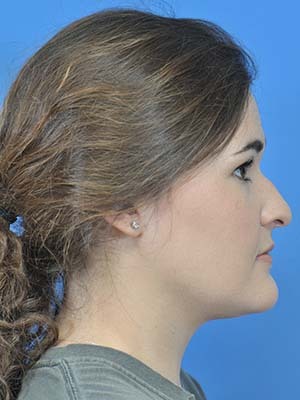 Rhinoplasty surgery uses either a closed or open technique. If closed, incisions are made entirely on the inside of the nose. If open, an additional incision is made on the underside of the nose between the nostrils which allows the skin that houses the cartilage and nasal bones to be lifted so they can be reshaped. Adjustments. Once the incisions have been made, adjustments are made to the nasal structure. If an area of the nose has to be reduced, tissue is removed. If an area of the nose has to be increased, Dr. Minton may perform a tissue graft (taking tissue from the patient) to bolster the area. Closing the incisions. After the nasal adjustments are complete, the tissues and nasal skin are redraped, and the incisions are closed with sutures. After rhinoplasty, a plastic/metallic splint may be placed on your nose to help retain its new shape, and it must remain in place for about a week. As part of your consultation, Dr. Minton will discuss the rhinoplasty healing process with you. He will give instructions on the best ways to take care of your nose and will prescribe medications to aid healing, reduce the chance of infection, and manage any discomfort. Follow-up appointments will be arranged to ensure that your healing is going well. Bruising and swelling in the surgical area and around the eyes are common after rhinoplasty, but will reduce over time. During recovery, your head should always be elevated above your chest, as this will help keep swelling to a minimum. Over the course of the year, you will notice changes in the nasal features as the nose settles into its new shape. After the initial consultation, rhinoplasty usually takes 1 to 2 hours, but a more complicated procedure could take longer. 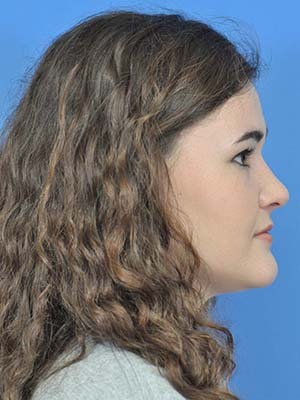 Can rhinoplasty address both the form and function of my nose? Yes, Dr. Minton can both change the outer shape of the nose and repair any internal nasal issues in one surgery. How much downtime can I expect after rhinoplasty? Sutures will be removed about 5-7 days after the rhinoplasty, but you will continue to wear a splint and bandages for about a week. Bruising and swelling will begin to improve over the course of the next 1-2 weeks. Patients can usually return to work within 1-2 weeks (depending on the nature of their work). More strenuous activities can be resumed after 3 to 4 weeks. The patient doesn’t feel anything during rhinoplasty. Post surgery, patients can experience discomfort such as swelling and bruising at the site of the surgery and around the eyes, but this tends to resolve in about a week. Dr. Minton can prescribe medicine to help ease any discomfort. How long will it take to see the results after Rhinoplasty surgery? Typically the results can be seen immediately upon removing the splint at one week. There is however often some swelling that will resolve over the next few weeks to improve the results. Ultimately it can take several months before all of the swelling goes away. Our skilled, double-board certified facial plastic and reconstructive surgeon Dr. Minton is available to discuss rhinoplasty in greater detail during a consultation at our Savannah Facial Plastic Surgery offices in Savannah or Pooler. We serve clients from Savannah, Hilton Head and surrounding areas. Arrange your consultation by contacting us today.